In my last post I spoke about the immense challenges inherent in experimenting with a gift economy within the current economic structure. 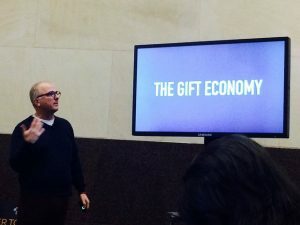 In this post, I look at how experimenting with the full gift economy can only take place from a position of privilege, and what, ultimately, we can do to begin and continue these experiments in a sustainable way. 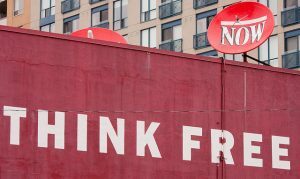 Before examining options, I want to explore one more aspect of the gift economy experiment, which is the ways in which privilege plays a role in our ability to engage with such experiments, at all ends of them. One aspect of the privilege is that I can only experiment with the gift economy to the extent that I am able to absorb the possibility of not getting as much as I was hoping for. My own commitment is quite extreme: I absolutely don’t want to receive any money that comes to me tainted with any amount of guilt or obligation or that is more than a person is truly capable of giving. More than once, I gave somebody’s money back to them because I knew what a hardship giving me that money would be for them and I had reason to suspect they were acting out of obligation. The privilege I lean on is both material and emotional: first, because of the overall extent of the work and income that I generate, I can survive not getting money from any one individual even if I still depend on receiving money from some people. That’s the material privilege. The emotional privilege is that I have access to this knowledge and do not easily get stressed about not having enough money even when I don’t, such as for the last few months, when the level of uncertainty about the Fearless Heart budget is at an all time high. This allows me to absorb it all – the disappointment and the despair – generally without resentment. This emotional privilege is the result of many years of work to integrate the deepest layers of nonviolence, resulting in a deep commitment that takes the form of knowing that in some really deep and fundamental way I would rather die than live on money that is given to me by obligation. There is yet a whole other layer of privilege which is what allows me to play with the full gift economy. Very few people know enough people to be able to create a sustainable gift experiment. Mine is only microscopically sustainable. Of the many thousands of people who are on my mailing list, fewer than 80 people participate in the Circle of Support, roughly 1%. To be fully sustainable at this rate in this form, I would need to have 900 people in the Circle, which would mean about 90,000 people on the list. That is privilege, to be so well known, and I am not. That’s why the Circle currently supports less than 10% of the overall budget: only the costs of the free workshops, and likely not even that. Even that, though, is based on the privilege of being one of the most well-known Nonviolent Communication trainers in the world, with a global network of people who appreciate what I do and want to support it. Why does it take so many people? Because the economic activity of supporting my work must occur within the confines of the market economy, precisely because there isn’t truly a flow of resources that includes their contributions, mine, and many other people’s. The loop between the givers and the receivers is limited, and thus participation is, by necessity, with small amounts. In short, then, we are facing a systemic issue that only some of us with individual privilege can overcome individually. Without systemic change, the vast majority of the people on the planet simply don’t have big enough networks, rendering this methodology impossible, and the experiments doomed to failure. 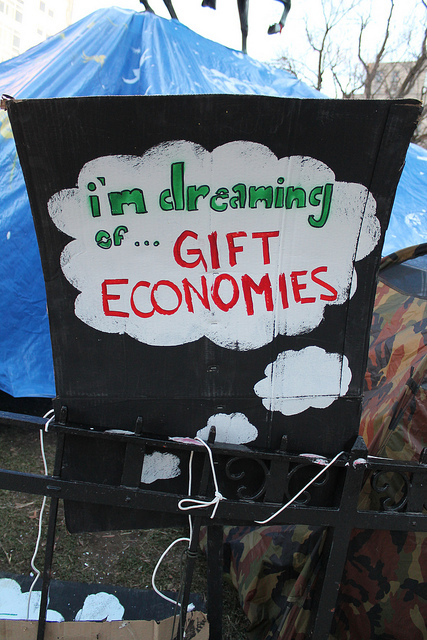 Only a few people can experiment with a full gift economy. For everyone else, the only viable experiment is with the semi-gift economy, the only form I was using until two years ago. The question still remains, though, how to do it well. Given all the systemic and personal obstacles, engaging in semi-gift economy experimentation in any significant way is a big commitment. It means, for example, that we would be constantly educating people about the meaning of gifting, and supporting them in being able to relate at the level of needs and choice. I don’t yet see any way around this level of commitment. And so it is that each one of us is called upon to decide how much of our resources and energy we want to put towards working in this way. There is no right answer, only inner truth about the intersection of our vision and our capacity. Do we do it only in some contexts and not others? How do we assess the true range of what we are willing to lose? How do we ensure that our experiments don’t turn into their own form of obligation that then lead to resentment? One of the ways that I have freed myself from resentment about what any one individual gives is realizing that it’s an inner trap to tie my sense of anything with what individuals give. My sustainability is about the entire amount I receive, not about how much each individual gives. It isn’t even dependent on what the average is that people give. If I’m doing a workshop and a hundred people come and they each give $5, I have the same amount of money as if five people came and each gave $100. It simply isn’t true, and cannot be calculated unless we know how many people are attending, to say that what is sustainable is if somebody pays $50 for the workshop; it’s part of the fallacy of exchange that leads us to confuse our needs for sustainability with somehow tying our sense of value to how much money each person chooses to give. Ultimately, having the shift to gift economies rely on the individual work of the person issuing the invitation, or even on the organizational level, is unsustainable on a planetary level. What we need are systems that require less of each individual in order to get to the world we want to create. As long as the systems are what they are, each of us would need to do a monumental piece of work and inner transformation to act in the new ways. Which is no surprise. In the absence of institutional, systemic, community support, any aspect of nonviolence requires almost inhuman efforts. May we live to see a transformation in systems that will make it all so much easier for us. Until then, I hope more and more of us individuals will take on the loving work of living as if it’s already here. 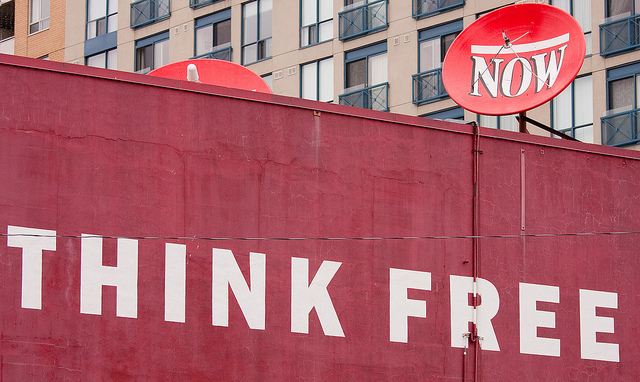 Image credits, all Flickr: Top: Think free (Painted ad in downtown Toronto, 2009) by Alex Pierre, (CC BY-NC-ND 2.0) . Middle: “I’m Dreaming of … GIFT ECONOMIES” (Occupy DC at McPherson Square Park between K and I at 15th Street, NW, Washington DC on Tuesday afternoon, 31 January 2012) by Elvert Barnes Protest Photography (CC BY-SA 2.0). 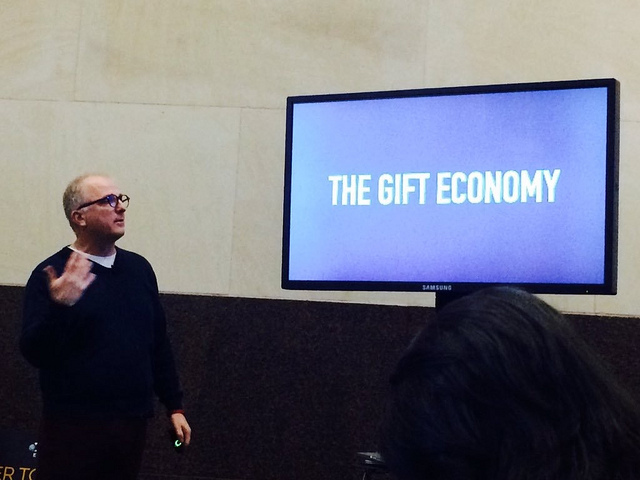 Bottom: The Gift Economy by Dean Shareski (CC BY-NC 2.0).